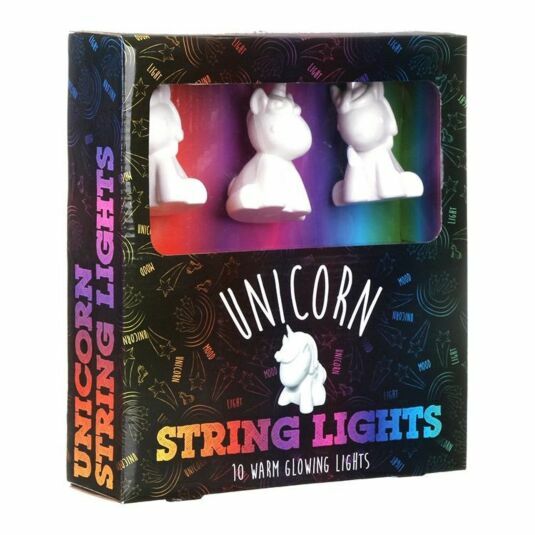 Bring the beautiful shimmering light of unicorn magic into your home with these Unicorn String Lights, a sparkling addition to any home for Christmas! Enchant any room in your home with these lights. 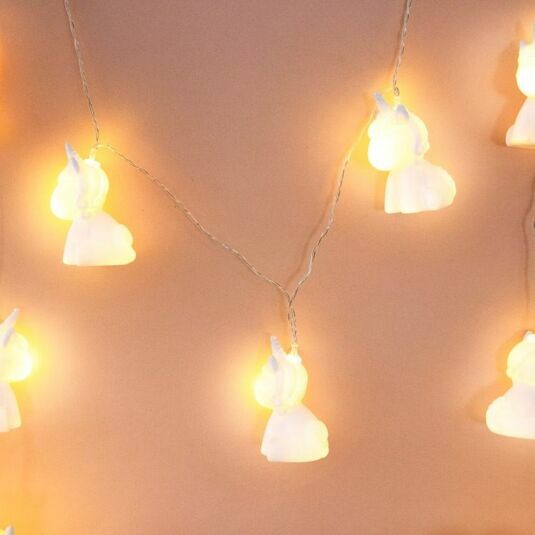 The ten soft glowing unicorns emit a warm ambience, creating a truly embracing atmosphere in any room of your house. Coming in a beautifully decorated box, these lights will bring an instant smile to your face. Each light is shaped like a cute little unicorn, complete with a magical horn and flowing mane. Light shines from within their body and you can hang them up anywhere in your home to spread the magical joy! They make a brilliant gift for Christmas, birthdays, or any other time that you want to share the gift of unicorn magic!